„Taste of Innovation, Design, Food and Entertainment“. That’s the motto which Cosentino City Center in Milan chose for its special exhibition during Salone del Mobile in April 2016. 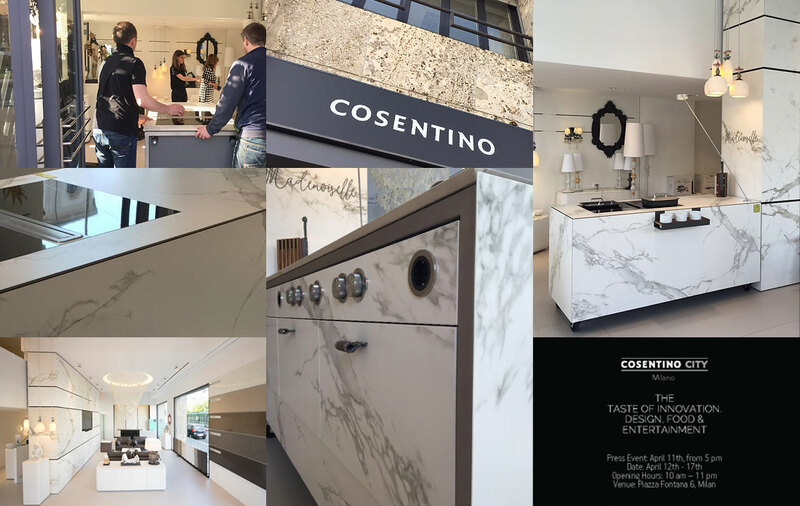 We are very happy that Cosentino decided on our mevo to make this motto come to life. At Milan, mevo was dressed in Dekton Aura Bookmatch – a world premiere – making it look like it was made from one block of marble!